In May 2011, Bernard Bailey, a 54-year-old African American, came to the Eutawville (population 300) police department to complain about his daughter’s recent taillight ticket. When Police Chief Richard Combs, 35, attempted to arrest Bailey for obstruction of justice, Bailey refused and marched outside to his truck. Combs pursued Bailey to his truck and attempted to turn off the ignition, which resulted in a physical struggle between the two, ending with Combs shooting Bailey twice in the chest. 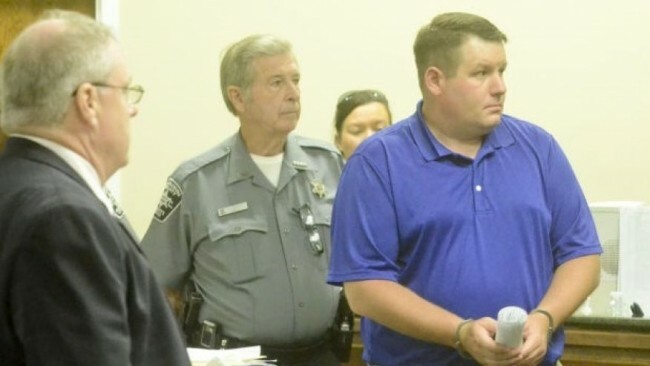 Though Combs claimed that his arm was tangled in the steering wheel and feared for his life should Bailey drive away, prosecutors said Combs had initiated the struggle that led to Bailey’s death. Wednesday, an Orangeburg County grand jury agreed with the prosecutors, indicting Combs for murder, which carries a 30 years to life sentence—a far harsher penalty than the original “misconduct in office” charge brought by prosecutors, carrying a 10-year maximum prison sentence. Bailey’s family reached a $400,000 wrongful death settlement with the city in August. So, how is this not causing riots in the streets? How is this not causing looting and the city to be burned to the ground? Oh, that’s right, Sharpton and his cronies failed to latch onto this and stir the pot of hate around. The media is ignoring this. I guess because they just figured he would be indicted, no need to have a bunch of folks cause a fuss. Hypocrisy is something intolerable – and suddenly, I guess this #blacklivesmatter – just quite doesn’t.